Apartment Sri Kayangan Ukay Perdana for sale!! ~ Basic unit with move in condition (tip-top). General info Apartment Sri Kayangan Ukay Perdana for sale!! 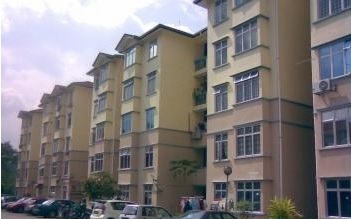 Sri Kayangan Apartment is a low density, 5-storey leasehold apartment. 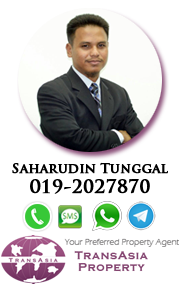 There are also several apartments situated nearby namely Sri Wira Apartment, Sri Puteri Apartment, Sri Hijauan and Sri Impian. The facilities provided are covered parking lots, playground and 24 hours security. Amenities near Apartment Sri Kayangan Ukay Perdana for sale!! Sri Kayangan Apartment is within close proximity to amenities such as Ampang Point Shopping Centre which is situated about 13 minutes driving distance. Residents can enjoy a great selection of restaurants, cafes, retail outlets, supermarket and many more. Besides that, there are also an abundance of amenities located just outside of Ampang Point such as banks, restaurants, clinics and many more. Schools that are situated nearby are SM Sri Inai, SMK Lembah Keramat,SMK Seri Keramat 2 and Institut Budaya Baru Melayu Selangor, all located within a 2.5km radius. Sri Kayangan Apartment is accessible via Jalan Ukay Perdana. For residents who prefer to commute via public transportation, they can head over to Wangsa Maju RapidKL LRT Station which is located about 5.3km away. Interested in Apartment Sri Kayangan Ukay Perdana for sale!! If interested, call 019-2027870 sahar for details and appointment. 3% earnest deposit and 7% during SNP signing.